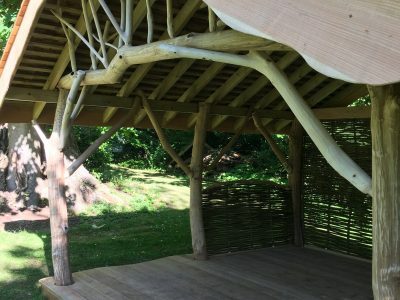 This play area leans towards challenging, risky play, where the children can’t help but to gain upper body strength and all round confidence, as they test themselves in different ways as they grow. 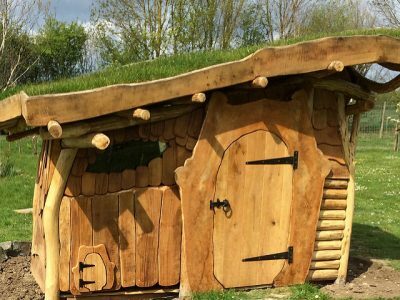 The play area gives the children a feeling of being in a magical woodland village, and it provides physical challenges for pupils of all ages and sizes. 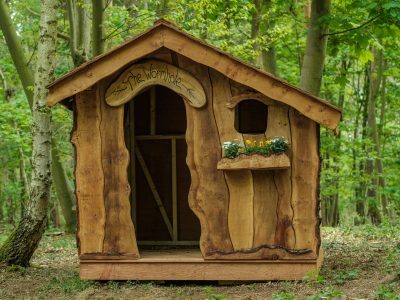 If you would like to have a walk around in one of our structures, this is it! It was built to showcase our work at Foxcotte Fencing in Barton.